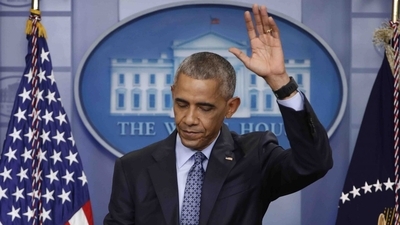 "I came into this office wanting to do everything I could to encourage serious talks between Israelis and Palestinians," President Obama said during his final press conference. From his first weeks as president, he declared, "the status quo is unsustainable," and he repeated it up until his last days in office. After eight years, it's not surprising that the world has become familiar with his administration's mantra: Israeli settlements in the West Bank are the greatest obstacle to peace. He continued to lend credence to that contention from his demand for a complete settlement freeze as he entered office, through the passing of the recent United Nations resolution during his waning weeks that certified such housing as illegal. While his latest jab at Israel is a curious addition to his presidential legacy, if nothing else, he has been remarkably consistent. In their approach to the issue, the Obama administration's unique innovation was in both form and substance. In form, the administration framed the issue as an urgent, emotional, and values-based imperative that compelled U.S. action. It required an American intervention—an act of tough love between friends—because Israel was addicted to settlements and not only causing itself harm, but also putting the U.S. in the uncomfortable position of having to act in order to live up to the values it holds dear. The country couldn't look itself in the mirror if it stood idly by. That presentation was best delivered by Secretary of State John Kerry in his seminal speech on the peace process, days after the anti-settlement UN resolution passed: "[I]t is vital that we have an honest, clear-eyed conversation about the uncomfortable truths and difficult choices," he began, adding that the U.S. could not "stand idly by and know that in doing so we are allowing a dangerous dynamic to take hold which promises greater conflict and instability" because doing so would mean, "we would be derelict in our own responsibilities." America, he argued, "cannot be true to our own values...if we allow a viable two-state solution to be destroyed before our own eyes." That, he reasoned, is precisely what Israel was doing: "No one thinking seriously about peace can ignore the reality of what the settlements pose to that peace." In substance, the Obama administration relied on several misleading assertions to make the case that time was running out for the two-state solution because of Israel's unprecedented increase in settlement activity under Netanyahu. This alternative reality in substance fed the form in which it was presented and vice versa. ...but what you say still matters. There is something about the nebulous nature of the settlement issue that lends itself to exaggeration and obfuscation. The White House took advantage of it, using imprecise terminology to make its case. For example, a settlement is essentially a village, town, or city. They are very rarely established. The term "settlement expansion" is a generic phrase indicating anything from establishing an entirely new village from scratch, to adding a room to a home in a preexisting village that takes up no more land. Clearly, there is quite a bit of difference between the two. The former would resemble a homeowner building a new addition or second home on land many in the international community consider to be their neighbor's. The latter would be the equivalent to a homeowner adding a second floor above the garage or adding a bedroom on the ground floor within their existing property. The Obama administration made no distinction between the construction in preexisting settlements and construction that required territorial expansion or enlargement. In fact, the moratorium on Israeli construction the president demanded would not allow for a homeowner to even pour concrete for a patio. As Secretary of State Hillary Clinton said in May 2009, "[President Obama] wants to see a stop to settlements—not some settlements, not outposts, not natural growth exceptions." As is noted on the Daled Amos blog, "Over the years, the media has conflated building settlements with building houses within the settlements, adding to the confusion and aiding in the creation of this false narrative." He sites many examples where the news headlines would easily confuse a reader. An additional problem is that in the permanent status negotiations, it has long been assumed that Israel would be able to keep the majority of its population living in large settlement blocs in return for additional compensation to the Palestinians, such as swapping or trading land. When President Clinton presented his parameters in December 2000, he asked the parties to develop a map consistent with keeping 80 percent of Israeli settlers in blocs that would be become part of Israel. The map was to provide for contiguity for the Palestinian state and minimize the annexed areas and number of Palestinians affected. To that end, in 2011, David Makovsky, Senior Fellow and Director of the Washington Institute's Project on the Middle East Peace Process conducted a detailed study, "Imagining the Border: Options for Resolving the Israeli-Palestinian Territorial Issue" that included a landmark, fully interactive online map with three scenarios for territorial land swaps. He demonstrated how Israel could keep 68 – 80 percent of their population that lives in the West Bank in 3.7 – 4.7 percent of the land. That means depending on the scenario, Israel could offer Palestinians between 95.3 – 96.3 percent of the West Bank. This study should have gone a long way towards alleviating the issue of territory. Within two years of its publication, Makovsky was brought on to John Kerry's peace team as a senior advisor to the Special Envoy for Israeli-Palestinian Negotiations, Martin Indyk. What this all means is that there is precise terminology that can clarify the matter and all sides are aware of how they can deal with the minor issue of settlements within the larger context of the territory question. Understanding these nuances is the domain of diplomats. The Obama administration, however, chose a different diplomatic path. According to Mr. Kerry, "We've made countless public and private exhortations to the Israelis to stop the march of settlements." In his final public remarks as secretary, he said, "The West Bank is slowly and steadily being eaten up." According to Deputy National Security Advisor Ben Rhodes, "the settlement activity was getting worse and worse" because of the "tens of thousands of settlements being constructed..." He told Israeli television, "Israeli settlement activity was pushing into the West Bank in a way that was making a two-state solution unachievable over time." Reality, however, is quite different. According to the left-wing organization, Peace Now, Israel has 131 settlements and 97 outposts for a total of 228 in the West Bank. In April 2012, Peace Now reported that Netanyahu's Government "will approve the establishment of three settlements... If approved next Sunday, it will be the first time since the Shamir Government in 1990 that the Israeli government is deciding on the establishment of new settlements." That makes three new settlements in 22 years. That's a far cry from "thousands" or "tens of thousands of settlements" and it hardly constitutes a crawl, much less a "march of settlements." President Obama further asserts, "we have seen more aggressive settlement construction over the last couple years than we've seen in a very long time." That is to say that under Benjamin Netanyahu's premiership, housing construction within the established confines of a settlement has been rapid and growing. The opposite is the case. The left-wing Israeli paper, Haaretz, shows that from 2009 – 2014, Netanyahu was responsible for the slowest pace of yearly housing starts within settlements compared to his recent predecessors dating back to 2000. Netanyahu was only responsible for an average of 1,554 housing starts per year. Lastly, there's the issue of the pace of Israelis settling within the settlements. According to the Obama administration's logic, time was working against the U.S. and urgent action was needed. 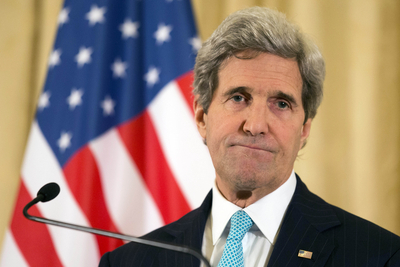 When he became secretary of state in 2013, John Kerry gave a warning: "I think we have some period of time—in one to one-and-a-half to two years—or it's over." President Obama recently said, "this moment may be passing" for a two-state solution to be a realistic scenario. Both John Kerry and Ben Rhodes went out of their way in the aftermath of the UN resolution vote to quote ominous sounding statistics on the increase of Jews living over the Green Line or beyond Israel's security barrier. Yet again, their numbers are meant to obscure rather than clarify. The settler population in the West Bank alone, not including East Jerusalem, has increased by nearly 270,000 since Oslo. Including 100,000 just since 2009 when President Obama's term began. There's no point in pretending that these are just in large settlement blocs. Nearly 90,000 settlers are living east of the separation barrier that was created by Israel itself. In the middle of what, by any reasonable definition, would be the future Palestinian state. And the population of these distant settlements has grown by 20,000 just since 2009. Those numbers, however, are misleading. According to his own statistics, since 2009 there has been a 100,000-person increase in the 80 percent of people Israel will most likely keep in a final status negotiation. And keeping those settlements and their population is consistent with President Clinton's parameters from 2000 and the 2004 Bush-Sharon commitment between the U.S. and Israel. It is also consistent with the detailed options David Makovsky mapped out two years before joining Secretary Kerry's own peace team. It makes Kerry's concentration on this point rather irrelevant to solving the territory issue. The more important data set is where he claims there has been a 20,000 increase in settlers in areas outside the separation barrier to 90,000 since 2009. But that only amounts to a 3.5 percent increase per year. That's hardly making it "impossible to realize a two-state solution." Furthermore, Israel has already demonstrated that settlers and settlements can be removed as they were after the peace treaty with Egypt in 1979 and the disengagement from Gaza in 2005. There is no fact-based reason to believe the two-state solution is dying as a result of Israeli construction, housing permits, or outward settlement expansion. The U.S. abstention at the UN wasn't motivated by "grave concerns" for the peace process where they could not, "in good conscience" veto the resolution. Nor did they have an intervention with Israel out of love; there was no moral and ethical imperative to save Israel from itself. "[W]e felt compelled to abstain on this resolution," Mr. Rhodes explained, because "diplomacy wasn't working in bringing the parties together." In other words, after eight years of trying the same thing and failing, they figured there was nothing to lose so late in the game. It represents a certain degree of hubris to not let facts intrude on one's reality or allow for a course correction when warranted. The lack of progress in the peace process stems from President Obama's original sin, which was making a thorny side-issue the centerpiece of his approach. In Barack Obama's final press conference he offered Mr. Trump some advice: "It's right and appropriate for a new president to test old assumptions... [but] if you're going to make big shifts in policy, just make sure you've thought it through." If only he had taken his own advice.